Oh, Mark Zuckerberg! Has an app ever been expected to transform into a platform that's simultaneously intimate and expansive? Not really. When Facebook acquired WhatsApp in 2014, the overwhelming reaction to the deal was: Why WhatsApp and for $19 billion? It appeared to be an incredulous and an almost defeatist deal. After all, Instagram had been purchased for just $1 billion in 2012. And, WhatsApp did not sell ads, and charged users just a dollar a year, at that time. The steep price for a fresh app without any demonstrable revenue prospects was questioned by many. Today, the messaging app has more than 1 billion monthly active users worldwide, with a growth rate rivalling that of Facebook and Twitter. After years of holding tight as a deeply personal, one-on-one messaging app growing only via word-of-mouth marketing, WhatsApp is now going desktop. To see this purely from the point of view of tapping the untapped, desktop friendly user base, would amount to a refusal to accept what WhatsApp can do for enterprises, especially those around news and content, across the world. As more and more publishers get on to chat apps to reach out to audiences and find interesting, more conversational approaches to news gathering and dissemination, it's evident that WhatsApp's desktop adoption is more about the business of publishing than anything else. Already, much of the action has happened in the West. Chat apps, such as WhatsApp, have emerged as popular platforms for outlets to share news and information. The Guardian covered the GOP debate live on WhatsApp in December last year, one of its earliest experiments with the popular chat app as a publishing platform. BuzzFeed is working on Android and mobile Web integration for WhatsApp. The BBC used Viber in the aftermath of the 2015 Nepal earthquake to disseminate news, and also to cover the Ebola epidemic in West Africa in 2014. Central to the strategy is the need for international publishers to find and expand audience outside of the United States. The New York Times (NYT), for instance, now with over 1 million digital subscribers, out of which an overwhelming majority resides outside the US, is looking at WeChat to build readership in China. Clearly, publishers have plans to continue to experiment with chat apps and other forms of live mobile-focused coverage, and WhatsApp's desktop move must be read as part of the broader strategy to face competition from other chat apps such as Viber, Hike, WeChat and Line, which have been growing consistently across the world. 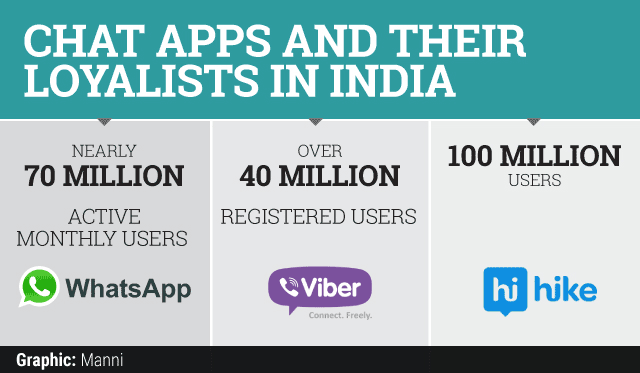 For western news organisations, these chat apps present an opportunity to deliver mobile-first news in places such as India. In the recent past, NYT has tried out WhatsApp to report on Pope Francis' visit to Latin America. Closer home, BBC India relayed the general elections on WhatsApp in 2014. What has come out of all the publishing experiments has been WhatsApp's strength as an informal, interactive platform that could be used to get audience engagement on serious policy debates. User feedback seems to have convinced publishers that there is indeed an audience for the WhatsApp type of mobile-focused live coverage with short little videos, images, GIFs and emojis. 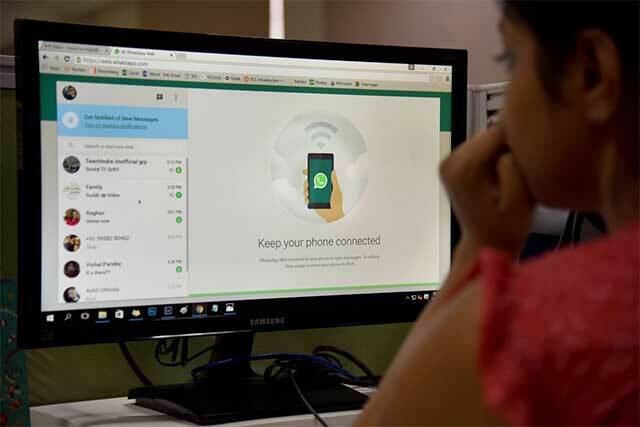 This has also led to shifts in how WhatsApp is increasingly being viewed â€“ from a messaging app to a mobile-first social media site that establishes direct connection with the audience. WhatsApp has simply seized the opportunity and looks poised to make it big. The desktop version comes close on the heels of WhatsApp making its messaging service available on the web barely 16 months ago. The desktop app now will integrate conversations and messages from the smartphone-only version and make it easy for users to switch from handsets to PCs and back; and also enable native desktop notifications and better keyboard shortcuts. This is much more user friendly than before. WhatsApp now needs to fix its other features that have worked as constraints for publishers â€“ its fixed limit of 256 users per broadcast list, and basic tools that record only the clicks and not referral data. However, a beginning has been made. Those days when a falling SMS rate was WhatsApp's biggest impact are over. There is ambition to do more.